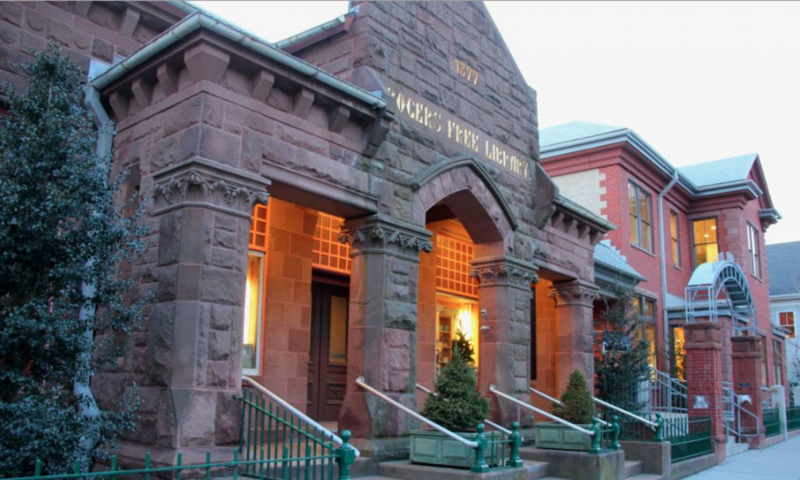 The Board of Directors of the Friends of the Rogers Free Library is pleased to announce the establishment of a Community Grant program. The purpose of the Rogers Free Library Community Grant Program is to provide an opportunity for community groups/ organizations/clubs or individuals to receive funding for the research, design, and implementation of programs, practices, and services that connect the Rogers Free Library with the greater community. Programs, products, and services that are both innovative and meet the changing needs of our population will be given top priority for funding. Individual grant requests up to $5000 will be accepted. The Friends have set aside $25,000 annually to finance the Rogers Free Library Community Grant Program. Grant requests must explicitly demonstrate a connection with the Rogers Free Library. This connection might include use of the library facilities, resources, and/or personnel and may be written to cover professional development, registration fees for coursework, seminars, and lectures; materials and supplies; capital equipment; labor; marketing; printing, etc. Grant requests will be accepted twice a year and will be due either on April 1 or October 1. Final grant awards will be made annually by the Friends following their meetings in June and December.